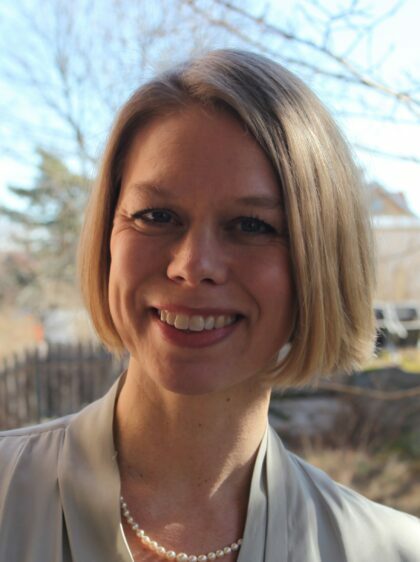 Christina Kullberg is an associate professor of French at the Department of Modern Languages, Uppsala University, specialized in contemporary Caribbean, especially Francophone, literature and theory, and in Early Modern French travel literature. She has published extensively on Caribbean literature, including two monographs – The Poetics of Ethnography in Martinican Narratives: Exploring the Self and the Environment (University of Virginia Press, 2013) and Espace urbain et écriture des carrefours (Uppsala, 2006) – and numerous articles in journals such as Callaloo, Small Axe and Research in African Literatures. Currently, she is completing a book manuscript in which she argues for a reconfiguration of the exotic in the writings of Dominican missionary to the Antilles, J-B Du Tertre (1610-1687), and is starting a new project that analyzes the inclusion of other languages and voices in Early Modern French travel writing to Africa and the Caribbean, entitled “Tropical Engagements” and founded by The Swedish Foundation for Humanities and Social Sciences, RJ. How are we to understand the fact that the turbulent decades when France lost its empire coincided with a formal turn in French literature and literary theory? Perhaps by way of Jacques Rancière’s notion of the politics of literature as being political by means of its intrusion in the partition of the sensible world, and not by means of direct commitment. But behind Rancière's theory there is a unified understanding of the notion of world, which is problematic when considering literatures that operate across worlds. This project aims at opening up the Rancièrian perspective by exploring the connections between the French formal turn, known as the Nouveau Roman, and the Francophone African and Caribbean. Interestingly, the resistance to acknowledging connections between the formal turn in French literature and the francophone novel has reappeared recently in the "littérature-monde manifesto" in which a renewed attention to story-telling, linear narratives, and referentiality would characterize a French world literature while formal complexity is considered to be an irrelevant heritage from the 1950s. In textual analysis informed by narratology and rhetorics of novels written during the 1960s and 70s by authors from different Francophone regions (Nedjma by Algerian Kateb Yacine, Malemort by Martinican Édouard Glissant, Les Affres d'un défi by Haitian Frank Étienne, and Les Soleils des indépendances by Ahmadou Kourouma from the Ivory Coast), the project argues that whereas the vernacular has traditionally been associated with the folkloric, essentialism and a return to the referent (tendencies scorned by structuralism and post-structuralism), imprints of the vernacular in Francophone African and Caribbean novels are in fact stylistic and formal features. As such the project offers a reconceptualization of the vernacular by reconsidering its aesthetic uses.